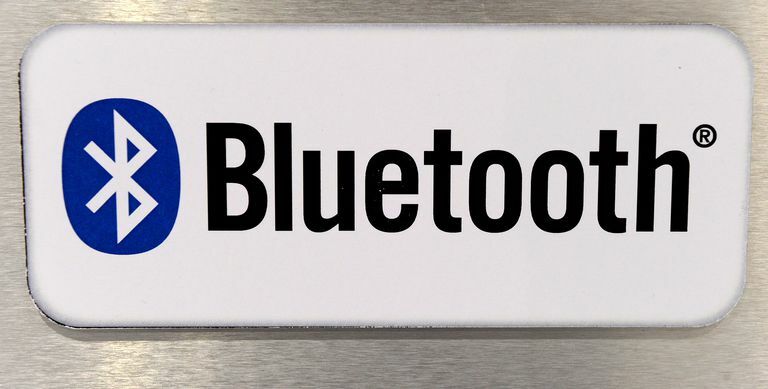 How does Bluetooth work, anyway? Bluetooth itself doesn't use any of your data plan. With that being said, if you are streaming a show to a Bluetooth device, then obviously you are using some of the data in your data plan. Simply put, Bluetooth enables devices (such as smartphones) to transmit radio waves. This capability is built within devices themselves, so there's no need for any other source of data transmission (such as a mobile or Wi-Fi network) to be used. Basically, you can use Bluetooth keyboards, mice, and, like in the picture, speakers. You can see this for yourself by disconnecting your device from any wi-fi or mobile data network, and then playing, say, music you have saved onto your device through a Bluetooth-connected speaker. Even without an internet connection, you'll find that that the audio plays as normal. Does Bluetooth Use Data or Wi-Fi? Anyone concerned that they might be racing through their monthly data allowance can rest assured that Bluetooth doesn't use anything extra, above and beyond what you're using to connect to the internet and stream media. This last point is worth stressing. Bluetooth itself doesn't use extra mobile data, but if you're using a mobile or wi-fi network to connect to the internet and stream, say, a TV program, then obviously you'll be using up your data allowance (assuming that you have one). Using Bluetooth to transmit what you're streaming to another device doesn't consume additional data, but it's important to keep in mind that it doesn't prevent that initial consumption of data. Do I Need to Connect to the Internet to Use Bluetooth? Another way of putting things here is to state that Bluetooth doesn't use an internet connection to transmit data. Each Bluetooth device talks to one another regardless of an internet connection being present. When you use a Bluetooth keyboard, the key strokes do not get transmitted to the internet and then back to your computer. The transmission goes from keyboard to computer directly.